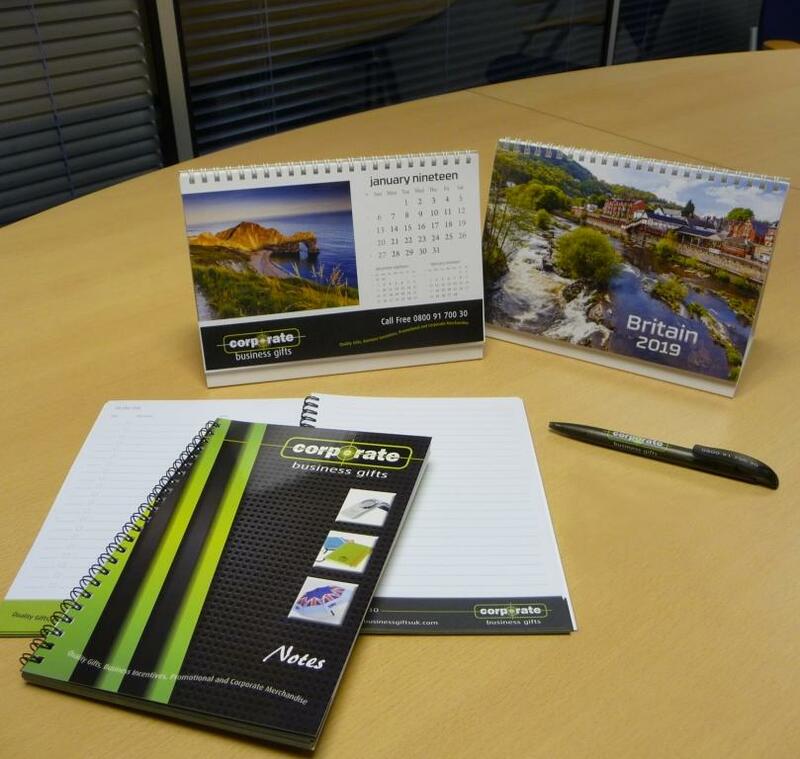 Custom made set comprising A5 bespoke calendar with full colour design for each month (stock images or your own), A5 wire bound lined notebook with full colour front cover and Frosted Ballpen printed with one colour logo. Supplied in a mailing envelope ready to post. Contents can be altered on request.